When it comes to the different West Covina houses for sale, there are a lot of single-family homes from the building boom after World War II. But not everyone has the time to devote to the major renovation of fixer-uppers. West Covina, located about 20 miles east of downtown Los Angeles, is experiencing a new construction housing renaissance. Brandywine Homes, a pioneer of infill development in Southern California, has plans to build a gated townhome community called Knoll Creek in West Covina. Low-maintenance and easy townhome living fits in with the motto of the city: “live, work, play.” Whether you are retired or in the midst of a career, there are benefits to choosing townhome living in the city of West Covina. According to a recent article by realtor.com, townhome living is desirable because there is no maintenance to worry about such as weeding, mowing or taking care of a pool. By not having to worry about painting the exterior of your home or doing yard work, you have more time to work or make new friends. Many West Covina houses for sale are in well-established neighborhoods in which people already have their long-time friends. By buying a townhome in a new community, people are more likely to be receptive to meeting neighbors. In many cases, people who reside in a townhome community are a closer-knit community with more social opportunities. Shared amenities often create a more social atmosphere. Security is one of the advantages of many townhome communities, including the gated townhome community of Knoll Creek in West Covina. Many people feel safer in townhome communities because they are closer to their neighbors. Some West Covina houses for sale may be quaint, but not offer the security many people desire. According to realtor.com, another major benefit of townhome living is being in a convenient location. Most townhome dwellers can walk to coffee shops, restaurants and other attractions. West Covina is home to McIntyre Square, the Lakes at West Covina with a movie theater and West Covina Village as well as the HK2Food District, Plaza West Covina regional mall and The Heights at West Covina retail shopping. For more information on the Knoll Creek townhomes that range from 1,535 sq. ft. – 1,949 sq. ft., pleasecontact us. BUENA PARK, CA — Brandywine Homes, known for blending single-family infill projects into existing neighborhoods, has begun leasing at Parkview Apartments, a 22-unit community of two-bedroom single-level flats and two-story townhomes on 1.1 acres on Knott Avenue just north of Orangethorpe Avenue in Buena Park, Calif. Brandywine has received more than 150 inquiries since leasing signs went up three weeks ago. This multifamily development is scheduled to be completed by the end of August, with first move-ins slated for early September. BUENA PARK, Calif. – Brandywine Homes, known for blending single-family infill projects into existing neighborhoods, has begun leasing at Parkview Apartments, a 22-unit community of two-bedroom single-level flats and two-story townhomes on 1.1 acres on Knott Avenue just north of Orangethorpe Avenue in Buena Park, Calif. Brandywine has received more than 150 inquiries since leasing signs went up three weeks ago. This multifamily development is scheduled to be completed by the end of August, with first move-ins slated for early September. Geared toward couples and young families, the new community with units of approximately 1,000 square feet is expected to help address the shortage of affordable housing in Orange County, where apartment vacancy rates are low and rents in some areas are at historic highs. Designed by LSA Architecture, the community includes a tot lot and barbecue areas. Located in the heart of Orange County, Parkview Apartments is minutes from the 91 and 5 Freeways and blocks from The Source, a 450,000-square-foot shopping destination that feature streetscapes lined with restaurants, retailers and nightlife. Residents will also be near Knott’s Berry Farm, Soak City, the Buena Park Downtown shopping center and Dad Miller Golf Course, home to the Tiger Woods Foundation. Resident’s children can attend respected schools in the Buena Park Elementary School District and the Fullerton Joint Union High School District. According to the National Association of Home Builders’ formula to determine the local impact of multifamily housing in typical metro areas, adding 22 rental apartments will generate $1.7 million in local income, $86,900 in taxes and other revenue for local governments, and seven local jobs. Parkview Apartments is one of four apartment communities Brandywine is building, including 25-unit and 34-unit rental communities in Garden Grove. Though Brandywine’s core business remains single-family homes—and the company expects to double its building of new homes over the next two years—Brandywine started looking for infill locations for multifamily projects four years ago as a way to diversify its residential offerings. Brandywine Homes, known for blending single-family infill projects into existing neighborhoods, has begun leasing at Parkview Apartments, a 22-unit community of two-bedroom single-level flats and two-story townhomes on 1.1 acres on Knott Avenue just north of Orangethorpe Avenue in Buena Park, Calif. Brandywine has received more than 150 inquiries since leasing signs went up three weeks ago. This multifamily development is scheduled to be completed by the end of August, with first move-ins slated for early September. “Life is like a box of chocolates. You never know what you’re gonna get,”said Tom Hanks’ character in the movie, “Forrest Gump.” Older homes built years ago are in the same category– you never know what you’re going to get. It’s not that they’re bad or poorly-built homes, but over time, building codes have been upgraded and new and better products have come into use. Products, appliances, and systems in older homes naturally deteriorate over time. Buyers should be aware that the true costs of home ownership are more than the down payment and closing costs. Some of these are easy to identify–new window coverings, interior paint, and so on. The furnace hasn’t been serviced in years. Might the heat exchanger be cracked, preventing safety certification? Water stains under sinks or, worse, around doorway thresholds or on window sills. Has the flashing deteriorated, or are the window seals blown? If it was a plumbing leak, how long did it go on before anyone fixed it? A slight, musty smell is pervasive, especially in the basement. Could it mean mold? A home inspector’s report will run many pages, and the above are just a few typical items that mean dollar signs. Who pays, buyer or seller, and how can a buyer be assured that the repair work has been done properly? Moreover, the inspector’s list comprises only those items he or she can see. Do obvious repairs signal less-obvious latent damage? Buyers of new housing just don’t encounter the problems listed above. The furnace, air conditioner and other appliances, as well as the plumbing and electrical systems, are brand new. So are the roof and entire building envelope, with a warranty going to the buyer in case something unforeseen happens. Here’s a fact few are aware of: Window warranties usually extend only to original owners. If someone buys an existing home where the owner has installed new windows, the buyer will not receive the benefit of the warranty. With new housing, the warranty goes to the new owner. It’s a source of comfort for buyers to know when they take possession of their new home, they don’t have to worry about unseen financial emergencies caused by home repairs. Prior to closing, we take each buyer on a detailed walk-through of the house to note oversights the contractors might have missed, and fix them. Buying new housing makes sense for a lot of buyers, and if you’d like to know more, give us a shout. You’ll know exactly what you’re getting, and you won’t have to worry about financial emergencies. 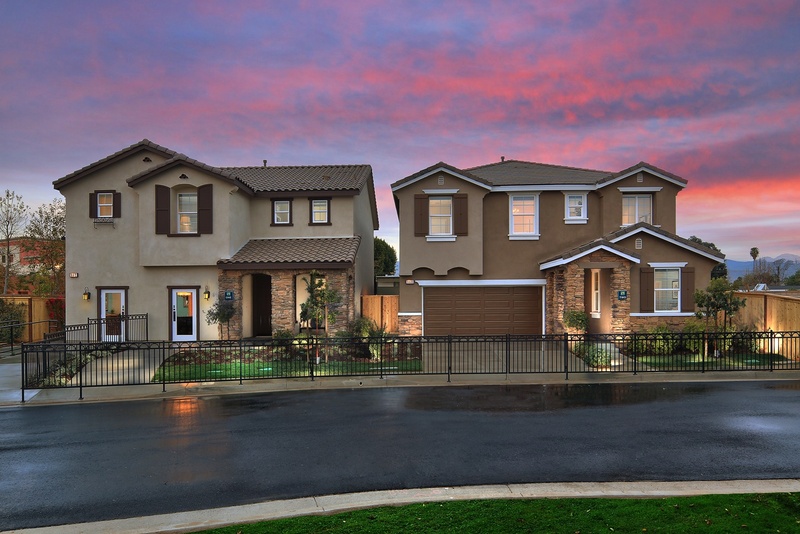 WEST COVINA, Calif. – September 8, 2014 – Just five months after its grand opening, Brandywine Homes announced that it has sold all 19 single-family homes at Waverly, a 2.3-acre gated community in West Covina, 18 miles east of Los Angeles. Waverly’s grand opening in February attracted 700 visitors, and Brandywine sold almost half of the available homes in the first weekend. Based on that success, Brandywine began construction on the community’s second phase, which will add eight more houses. Designed in partnership with architect Dave Maldonado of D33 Architecture, the three- and four-bedroom French- and Spanish-design homes at Valinda and S. Glendora Avenues are the first new detached homes to be built in the area for several years and bring a fresh look to an area where most homes are more than 60 years old. The homes range from approximately 2,150 square feet to 2,400 square feet and have stainless appliances, two-tone paint and great-room style floor plans. Eco-friendly features include tankless water heaters, low-E glass windows and night setback thermostats. Waverly is located on the site of a former school owned and operated by Immanuel First Lutheran Church, seller of the property. According to the National Association of Home Builders’ formula to determine the local impact of single-family housing in typical metro areas, adding 19 single-family homes will generate $589,000 in local income, $141,000 in taxes and other revenue for local governments, and 10 local jobs. Millennials in their 20s and early 30s came of age during the era of urban sprawl, but are making their way back to the hip, urban communities of Southern California. New home builders across the country are finding Millennials prefer urban living. According to an article by Professional Builder, urban infill housing is hot as Millennials and their baby boomer parents migrate back to the cities. It used to be people who wanted to buy new homes had to travel further and further out as communities became built-out. Withurban redevelopment or urban infill developments, Millennials can be catalysts of urban revival. Urban redevelopment projects can bring jobs to communities, which makes the younger generation feel good about where they live. Some of the perks about living in urban areas include easy access to transportation, dining and entertainment. Millennials can walk to their destinations, which allows them to conserve resources and protect the environment. On a practical side, urban redevelopment helps convert run-down spaces into hip housing. On a more whimsical side, having a home or townhome in an urban infill development gives artistic Millennials a chance to design their living spaces with urban chic or modern urban décor. The resurgence of urban lofts with exposed flooring, minimalistic furniture, open space and metropolitan artwork has inspired other homeowners to replicate the urban feel in their homes. In the past, people spoke about the “throwaway” generation, but Millennials are more interested in salvaging, recycling and preserving things as well as communities. Urban redevelopment provides opportunities to resuscitate dying neighborhoods in Southern California. For more information on how Brandywine Homes, a pioneer in urban redevelopment, can help you live, work and play in the same community, please contact us. A growing number of Millennials are ready to become first-time homebuyers. According to a recentarticle by D & C, Millennials now represent the largest share of homebuyers in the country. People in their 20s and early 30s account for 31 percent of the homebuyers, following by Generation X and baby boomers. Seventy-six percent of first-time homebuyers are Millennials. Experts say the generation is quite diverse when it comes to what kind of neighborhood they prefer. Many Millennials gravitate to urban infill projects that are pedestrian friendly. If you considering buying your first home, check out California new home builders that are bringing forgotten towns and cities back to life with live/work architectural spaces. Like other generations, Millennials want to feel safe. California new home builders often create gated communities because many buyers grew up in a time of uncertainty. Gated communities and home security systems deter crime as well as unwelcomed “pop by” visits from friends or in-laws. California new home builders offer several different floor plans because every young family, individual or couple is different. Some people want a main floor bedroom, while others prefer to keep all the bedrooms together on the second floor. A loft space on the second floor is a popular feature in floor plans because it can create a dramatic effect by opening to the space below. Millennials are often just starting out in their careers. 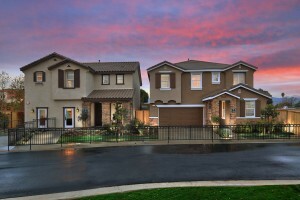 California new home builders offer homes at different price points. Some young buyers have saved up a substantial amount of money for a down payment, while others take advantage of first time home-buyer programs. If they can’t qualify for the home of their dreams, the younger generation of homebuyers isn’t shy about asking their parents for assistance. According to a recent report by Trulia, half of Millennials ask their parents or other relatives for down payment assistance. Brandywine Homes, a pioneer of infill development in Southern California, builds spectacular homes for home owners who want to live, work and play in the same community. For more information, please contact us.